Within employee populations across the world, mobile devices are being incorporated into their work environments, whether it is with the company’s consent or not. Along with providing many improvements to the way work is completed, mobile devices have also allowed a new way for risk to occur. 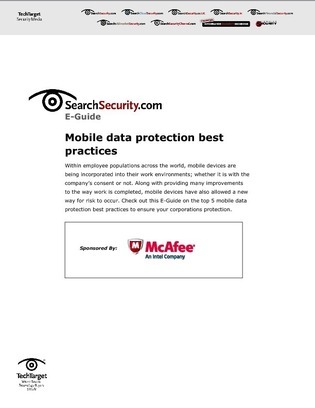 Check out this E-Guide for the top 5 mobile data protection best practices to ensure your corporation's protection.